Written by Mapline on February 13, 2019 . Posted in Blog, Support, Updates. We started the year off right by figuring out new ways to meet your needs. Hence, we are excited to bring you the newest features of Mapline – the Merge Territories tool, an enhancement to the route optimization tool, and new way to use heat maps. What Are the Alternatives to Google Maps? Written by Mapline on January 24, 2019 . Posted in Blog, Why Mapline. If you’ve used Google Maps to navigate to a new city, find the distance between two points or create a map for a presentation, you’re not alone. Google Maps is one of the most popular mapping applications—and for good reason. The tech company’s mapping solution is available for online browsers and pre-installed on most mobile phones, making it a convenient choice for users. Written by Mapline on January 11, 2019 . Posted in Blog, Why Mapline. PLT4M is a digital training solution designed by two former Division 1 athletes to give high school student-athletes access to fundamental, quality exercises. Its training curricula allow coaches and teachers to focus on students involved in all types of sports—from football and lacrosse to volleyball, track and more. Teachers and coaches can help students leverage PLT4M for sport-related training, personal fitness plans and exercise goals. Written by Mapline on January 4, 2019 . Posted in Blog, Why Mapline. GIS mapping is a powerful technology, and many college and university professors are taking note of its utility as a classroom learning tool. While its uses vary across majors and degree concentrations, GIS provides all students with a range of skillsets, such as problem solving and database management, as well as map creation, data accuracy, and the ability to adapt to technology in ever-changing workforces. How does this translate for students in the classroom? Here are three real-world examples of how college professors use GIS technology. Written by Mapline on December 4, 2018 . Posted in Blog, Why Mapline. 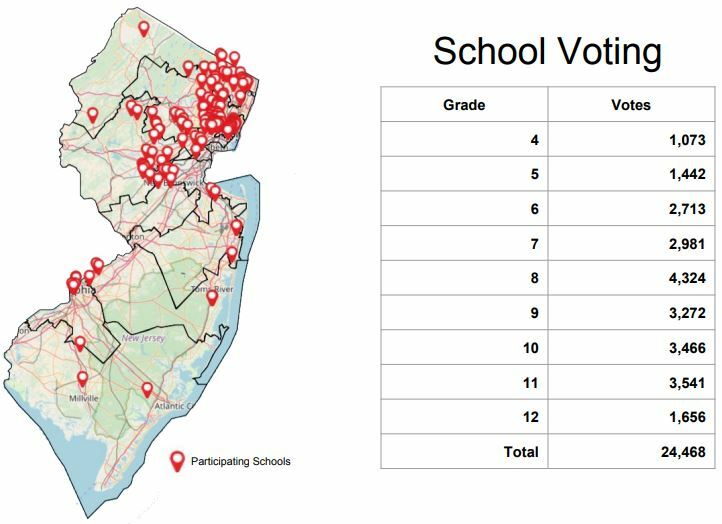 At Mapline, we’ve collaborated with New Jersey teachers and schools to help students vote in elections and experience the democratic process. Our interactive mapping software for schools makes it easy for teachers to register their students’ participation and analyze the results once all votes have been counted. For most students, the New Jersey mock election is the first opportunity they’ll have to cast a vote.